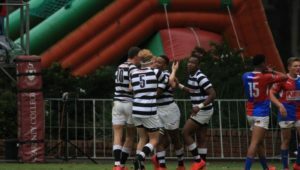 Grey College, Paul Roos and Glenwood have contributed the bulk of the Wildeklawer North and South squads that will face off on 15 September. 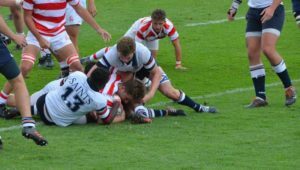 The two sides, picked after this year’s Wildeklawer schools tournament, will face each other at Ellis Park as a curtain-raiser to the Currie Cup match between the Golden Lions and Western Province. The North team will be coached by Welkom’s Jacques Juries and features a total of eight Grey College boys, as well as four players from the Virseker Cup-winning Monument, in the 23-man squad. 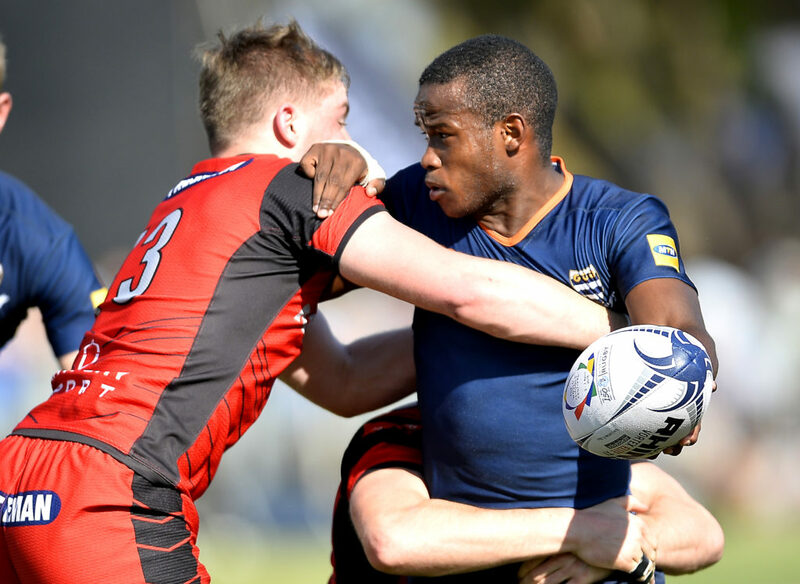 Standout names in the squad include Wyclef Vlitoor, Tristan Dullisear and De Wet Marais, who all played for the SA Schools team in the recent U18 International series. 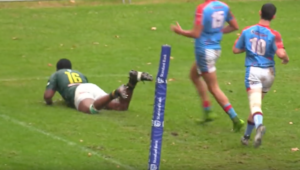 The South team, coached by outgoing Paarl Boys’ High coach Sean Erasmus, contains eight Glenwood players while the Boland schools of Boishaai, Paul Roos and Paarl Gymnasium make up most of the rest of the squad. Wildeklawer North – 15 Richard Kriel (Grey College), 14 Ian Small-Smith (Grey College), 13 Wyclef Vlitoor (Grey College), 12 Dylan Swartz (EG Jansen), 11 Eric Sherman (Affies), 10 Regard Roets (Affies), 9 Georgen Kiewiet (Welkom Gimnasium), 8 Izan Esterhuizen (Monument), 7 De Wet Marais (Grey College), 6 Tristan Dullisear (Monument), 5 Husayn Banzi (Welkom Gimnasium), 4 Stephan le Roux (Monument), 3 Jacobus Agenbag (Grey College), 2 Morne Brandon (Monument), 1 Jan-Hendrik Wessels (Grey College). Subs: 16 Janco Uys (Affies), 17 Brandon Pawson (Monument), 18 Petrus Naude (Grey College), 19 Danwick Beukes (Grey College), 20 Keke Morabe (Welkom Gimnasium), 21 Bernard van der Linde (Menlopark), 22 Ryan Davids (Welkom Gimnasium), 23 Goodwill Romain (Noord-Kaap). Coaches: Jacques Juries (Welkom Gimnasium), Jaco Dames (Diamandtveld), Jaco Koch (Affies). 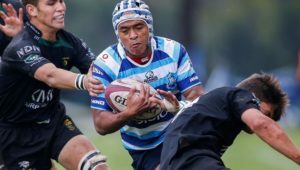 Wildeklawer South – 15 Rynhardt Jonker (Glenwood), 14 Aaron le Roux (Glenwood), 13 Conan le Fleur (Glenwood), 12 Dawid Kellerman (Paarl Gim), 11 Stravino Jacobs (Paarl Gim), 10 Juan Mostert (Paul Roos), 9 Jaden Hendrickse (Glenwood), 8 George Luzulo (Glenwood), 7 Evan Roos (Paarl Boys’), 6 Braam van Huyseen (Outeniqua), 5 Adrian Alberts (Paarl Boys’), 4 Lunga Ncube (Glenwood), 3 Hanru Jacobs (Paul Roos), JJ Kotze (Paul Roos), 1 De Wet Wolhuter (Paarl Boys’). Subs: 16 Keano Hendricks (Oakdale), 17 Thabiso Mtletshe (Glenwood), 18 Josh Muller (Stellenberg), 19 Dylan de Leeuw (Stellenberg), 20 Lohan Horn (Paarl Boys’), 21 Dylan Alexander (Paarl Gim), 22 Nivan Peterson (Stellenberg), 23 Dylan Pretorius (Glenwood).